01 April 2019 DeCPS 2019 - CfP Workshop Dependable & Cyber-Physical Systems Engineering. Ada-Europe is pleased to announce a new edition of the Workshop on Challenges and new Approaches for Dependable and Cyber-Physical Systems Engineering (DeCPS 2019), to be held on Friday 14 June 2019, co-located with the Ada-Europe 2019 conference in Warsaw, Poland. To foster visibility and interaction, participation in the workshop will be also open to conference participants (at no extra cost). 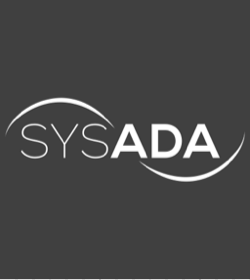 02 February 2019 9th Ada Developer Room at FOSDEM 2019: FOSDEM, the Free and Open source Software Developers' European Meeting, hosts an Ada Developers full day event. 09 January 2019 ACM SIGAda announces 2018 award recipients. ACM's Special Interest Group on Ada (SIGAda) announced that it presented two prestigious awards to members of the Ada community. Brad Moore received the Robert Dewar Award for Outstanding Ada Community Contributions. John A. Hamilton received the ACM SIGAda Distinguished Service Award. The awards were presented during SIGAda's annual HILT Workshop held in Boston, MA, November 5-6, 2018. 18 September 2018 Train control using Ada on a Raspberry Pi, by Julia Teissl. Interesting account about the programming of a control system for autonomous trains in Ada. 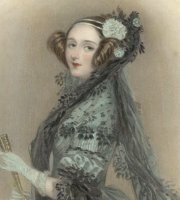 24 July 2018 First edition of Ada Lovelace's pioneering algorithm sold for £95,000. An “extremely rare” leather-bound copy of Ada Lovelace’s pioneering computer program has been sold at auction for nearly £100,000. First published in 1843, the book contains Lovelace’s translation of paper from the Italian mathematician LF Menabrea discussing Charles Babbage’s plans for a computing machine. 23 June 2018 The Ada-Europe Conference for 2018 held in Lisbon has successfully concluded. All the slides from the talks should be available on the conference website shortly. 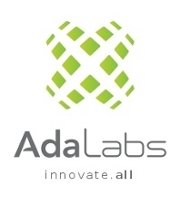 25 May 2018 Ada adopted to build and test the CLARREO Pathfinder flight software. 01 February 2018 Ada-Europe 2018: The Ada-Europe Conference for 2018 will held in Lisbon from 18th to 22nd June 2018. 10 December 2017 Reasons for Loving Ada: A good introductory article to explain the benefits of Ada, thenks Riccardo! 03 August 2017 Community Input for Ada 2020: WG 9 requests the Ada community to submit enhancements to be considered for inclusion in the next revision of Ada. 16 June 2017 Ada-Europe 2017: The Ada-Europe Conference for 2017 held in Vienna has successfuly concluded. March 2017 Ada for Automation: Article on 'Ada for Automation', this is a framework for designing industrial automation applications written in Ada. 19 July 2016 Ada on Board ExoMars Spacecraft: AdaCore announce that its GNAT Pro Ada cross compilation environment has been successfully used by Thales Alenia Space to develop and verify the critical software embedded on the ExoMars program. 17 June 2016 Ada-Europe 2016: The Ada-Europe Conference for 2016 held in Pisa has formally concluded. 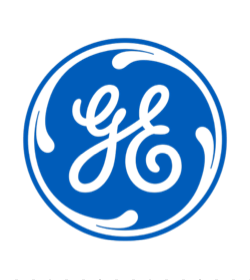 23 February 2016 Ada 2012 Language Standard Corrigendum Approved by ISO. Read the related joint Press Release by the Ada Resource Association and Ada-Europe. 10 December 2015 Ada Lovelace's 200th anniversary. On the occasion of Ada Lovelace's 200th birthday, Ada-Europe wants to join the celebrations taking place these days around this remarkable date. The Ada User Journal is publishing valuable materials celebrating Ada's anniversary, including a reprint of "Lovelace & Babbage and the Creation of the 1843 Notes", by J. Fuegi and J. Francis, producers of the documentary "To Dream Tomorrow" (AUJ 36.2); and also a reprint of the original "Notes to the translation of the Sketch of The Analytical Engine" by Ada Lovelace, a thorough description of the machine (AUJ 36.3). A number of events are taking place these days to celebrate Ada's anniversary, with active presence of Ada-Europe members, such as the 200th Birthday of Ada Lovelace event (Ada-Belgium and the KU Leuven University), or the Ada Lovelace Symposium organised by Oxford University, with the presence of Ada-Europe's Honorary member John Barnes (John's slides available here). AdaCore has produced a "brief summary that highlights her life and career, as well as key milestones and resources for the language that bears her name" (available here). Happy Birthday Lady Ada! 30 June 2015 In memory of Robert Dewar. With great sadness we have learned that Robert Dewar, a man of high education, vast culture, great heart, and enormous influence to the Ada programming language and the user and implementor community at large, passed away on 30 June 2015, his family by his side. Our thoughts at this sad time are with his family and friends. He will be warmly remembered. 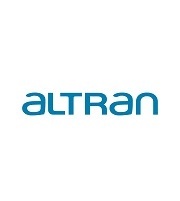 12 May 2014 Ada 2012 Reference Manual Published by Springer and as eBook by Ada-Europe. Available for download and also in paper as Springer's LNCS 8339. Read the Press Release by Ada-Europe. 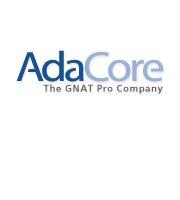 12 November 2013 Ada 2012 Language Rationale Published. Available for download and also in paper as Springer's LNCS Vol. 8338. Read the related joint Press Release by ARA and Ada-Europe. 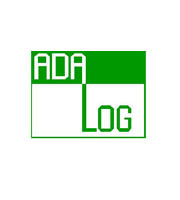 The Ada Way is an annual student programming contest organized by Ada-Europe, the international organization that promotes the knowledge and use of Ada in European academia, research and industry. You can find more information here. 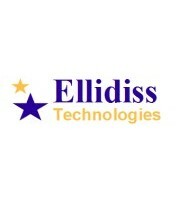 For further contact details, see the Sponsors section.